As the semester begins, we encourage the administration, the Student Union and the Department of Public Safety to reconsider the efficiency of transportation from campus to Boston. 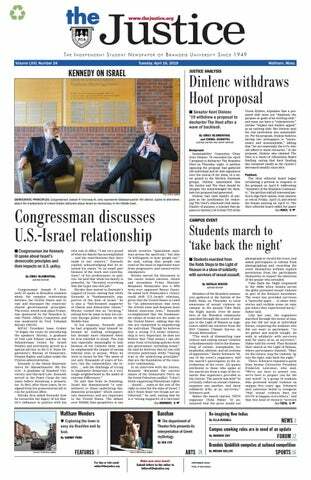 For many students, Brandeis' close proximity to Boston is a major draw. As the Brandeis admissions website boasts: "Getting downtown is a breeze." However, many students are well aware that this is not the case. Shuttle service is infrequent on the weekends, and the commuter rail is neither especially convenient nor cheap. If the University wishes to continue to use Boston as a selling point for incoming students, it should consider expanding options for students to access the city on the weekends, especially given the shifts in the dynamic of residential life on campus. It is particularly important that the University reassess its transportation policy now, because fewer students have access to their own methods of transportation. This year marks the first time sophomores have been prohibited from parking cars on campus. This means that many sophomores who previously had the option to explore different parts of Waltham, Boston and other local areas on the weekends are no longer able to do so via car. Because many campus locations, including many dining facilities and the libraries, are closed on Saturday and Sunday mornings, having a car proved quite useful for those who wanted to get an earlier breakfast or simply needed to get an earlier start on the weekend. Now that students can neither access campus resources nor leave campus for whatever reason on weekend mornings, their options have become much more limited, reinforcing the need for more transportation provided by the University. As stated earlier, the commuter rail, which costs roughly $9 roundtrip, is not the most ideal option for students who would love to explore Boston but are constrained by budgetary concerns. Consequently, it cannot be deemed an automatic alternative option for students when the shuttle is not running as frequently as they would like it to. The free shuttle service Brandeis offers is a tremendous incentive to experience the rich opportunities provided by a city; without it, some may choose not to go at all. A potential solution to this is a weekend shuttle to Riverside Station. The station is approximately a 7-minute drive from campus via I-95. From Riverside, students can take the MBTA Green Line, which costs less than $2 and allows students to access the various stops the train makes en route to downtown Boston. Boston and its suburbs provide a vast array of opportunity, whether it be artistic, historical or cultural, and Brandeis students should be given ample opportunity to benefit from them. Regardless of whether this solution is feasible, we also encourage Public Safety to consider scheduling more Boston shuttle loops in the morning over weekends and also making BranVans available before noon for those who are interested in getting to Waltham earlier. This will allow students who wish to start their day earlier to do so. In particular, first-years and sophomores, who cannot keep cars on campus, will be able to more easily access other places in Waltham and Boston. Having more BranVans and Crystal Shuttles on weekend mornings will alleviate the frustration some students have with staying on a quiet, inactive campus early on the weekends. Due to the lack of frequent and efficient transportation to Boston, it is now far more difficult for more students to get into the city. Nine miles is not a far distance to travel, but if the University wants its students to have access to the art, entertainment and cosmopolitan culture that Boston has to offer, it must consider altering the system in place.